With 215 powered parachutes in attendance at the Extravaganza, filling the skies was no problem. 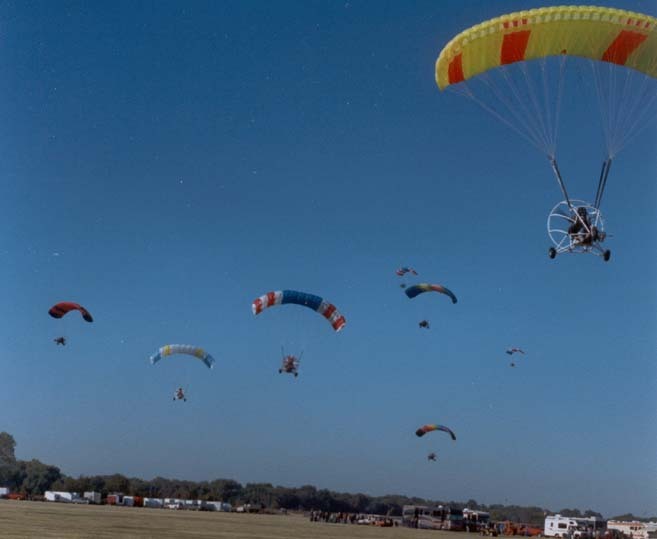 The Extravaganza attracted much of the powered parachute community. A large crowd of motorhomes and trailers made it to the event. A powered parachute inflates its canopy on Powrachute's wide-open field in Columbus, Kansas. Bill Amyx's fireworks display lit up the evening skies above Columbus. A rather dramatic airbrush job shows the company name at the bottom highlighted by a 15,600-square-foot patriotic mural. Only three weeks earlier, our nation had endured wrenching emotion from the September 11 attacks. But life must go on. So Powrachute of Columbus, Kansas, went on with its third annual Extravaganza. One look at the grounds promised that this was to be no ordinary company fly-in. Most of them resemble a family picnic; this one looked like an airshow. For the 2001 Extravaganza, Powrachute reported an attendance of 5000 spectators. Greeting them in this year of uncertainty was a beautifully airbrushed bald eagle against an American flag backdrop. The art took up 15,600 square feet of the flying field. 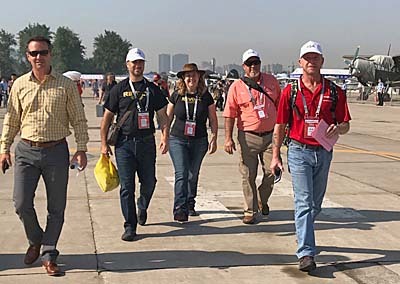 Mass Launch Extravaganza participants came from 29 states plus Canada, and they brought 215 aircraft. Much like the giant hot-air balloon fiesta in Albuquerque, New Mexico, the Powrachute gathering provided a great photo opportunity to capture the large and colorful wings of aviation’s newest segment. On one occasion during the four-day event, a launch of powered parachutes put 80 of them in the air in 20 minutes. I’ve seen Albuquerque launch a whopping 600 balloons, but this many powered parachutes moving about the sky has more motion and is a sight to see. Competition was also part of the event. All attendees at the 2001 event had a chance to win one of two prize aircraft. A Powrachute PC2000 was presented to Frederick Wright of Denver. A newcomer to powered parachuting, Wright will receive training and his new machine at Sky Trails Ranch in St. George, Utah. Powrachute introduced its first single-seater, the Sky Rascal, last year. One of these new craft was given away to Mike Peterson of Carthage, Missouri. To qualify, you had to be a pilot with a registered powered parachute. Mike will be selling his new rig to pay for some recent eye surgery, but everyone agreed this was a worthy result of Powrachute’s largess. High Lights Performing in the evening was Powrachute owner Bill Amyx, flying a powered parachute rigged with an elaborate fireworks apparatus. His specially configured Powrachute has 74 tubes of various sizes filled with Roman candles that resemble missiles departing in many directions. From the cockpit, Amyx controls a panel with 25 electrical switches to detonate the display. Tubes mounted all around the aircraft are carefully aimed so they don’t fire into the vulnerable nylon wing canopy. Amyx does all his own wiring and connections. Amyx’s show lasted 8-10 minutes and was complemented by a ground fireworks display that took a team of five 4 hours to rig. More than 2 miles of wire was used to set off the electric “matches” that ignite the fuses. When preparations were complete, Amyx gathered his assistants for a briefing; he remains in contact with them by radio once he’s aloft. Because he flies within a few hundred feet of the ground-based pyrotechnics, the whole show must be well coordinated. “I must say it is quite an experience having all those fireworks going off all around you while flying through it. I love it,” he said. Checking Out the Powrachutes At last year’s Sun ’n Fun fly-in, I flew one of the company’s latest PC2000 models with longtime skydiver and powered parachute instructor Scott Hughes. Powrachute is a recent entry to the increasingly crowded field of powered ’chute builders, but the company has already established a distinctive style. While most of the 22 manufacturers of these ultralight vehicles use a collection of aluminum tubing connected with aluminum channels and gusset plates, Powrachute takes a different approach, using exclusively large-diameter tubing that’s curved gracefully to avoid the numerous bolted joints common on other machines. The result is a beefy-looking machine that takes half the time to assemble and projects a curvaceous appearance. One unique aspect of the PC2000 design is the addition of frontal fuselage bars. This array of tubes surrounds the cockpit, protecting the occupants from danger in case of a rollover, which can happen if the machine is handled incorrectly. A ’chute 20 feet above the machine can exert a significant pull, potentially upsetting the chassis. Some manufacturers provide smaller rollover bars, but none is as solid and reassuring as those on Powrachute’s PC2000. As Hughes and I flirted with treetops surrounding the main landing site at Sun ’n Fun, I realized the other benefit of the frontal fuselage bars. In a powered parachute with its wing far overhead, it’s not unreasonable to fly close to obstacles given the slow flying speed of these machines. At times, Hughes and I flew surprisingly near tree branches, and although this is threatening in most aircraft, you can get much closer in powered parachutes—assuming you use a great deal of caution and have lots of experience with the machine. Should you get too close, the frontal fuselage bars offer a measure of protection...as they will also if a fence jumps in front of you on a poorly planned landing. This is not to advise haphazard flying, but we all make mistakes, and extra protection can spare us to learn lessons for future flying. Power Up Your Own? I must admit, I hadn’t been a big fan of these “bag-wing” flying machines. They seemed too limited. But I got a new appreciation for their special qualities (like the proximity flying described above) after evaluating two of the breed at last year’s Sun ’n Fun airshow. Powered parachutes are slow, but that’s some of their appeal: The ground drifts by leisurely enough that you can fully take in the scenery. Flying close to the ground is also relaxing when you’re only moving 26 mph, the typical speed of powered parachutes. Powrachute, like many of its competitors, features a sturdily built chassis that can take quite a whack without injury to itself or its human cargo. The two-place rig sells for $15-18,000 while the new single-place Sky Rascal is available for $10-11,000. KP FOR MORE INFORMATION, contact Powrachute at P.O. Box 524, Columbus, KS 66725; call 316/429-1397; fax 316/429-3827; e-mail eddie@powrachute.com; web www.powrachute.com To review all “Light Stuff” columns that have appeared in KITPLANES®, visit www.ByDanJohnson.com, which links to the KITPLANES® web site. Only three weeks earlier, our nation had endured wrenching emotion from the September 11 attacks. But life must go on. So Powrachute of Columbus, Kansas, went on with its third annual Extravaganza. One look at the grounds promised that this was to be no ordinary company fly-in. Most of them resemble a family picnic; this one looked like an airshow. For the 2001 Extravaganza, Powrachute reported an attendance of 5000 spectators. Greeting them in this year of uncertainty was a beautifully airbrushed bald eagle against an American flag backdrop. The art took up 15,600 square feet of the flying field. Mass Launch Extravaganza participants came from 29 states plus Canada, and they brought 215 aircraft. Much like the giant hot-air balloon fiesta in Albuquerque, New Mexico, the Powrachute gathering provided a great photo opportunity to capture the large and colorful wings of aviation’s newest segment. On one occasion during the four-day event, a launch of powered parachutes put 80 of them in the air in 20 minutes. SHOW OFFS - Powrachute president Eddie Johnson (front seat) and Texas dealer Scott Hughes show off the new chrome-finished Powrachute PC2000 Deluxe with its new Frontal Fuselage Bars. SEAT & BELTS - Like many producers, Powrachute uses a single construction for 2-place seating. Both positions have a secure 4-point restraint system as standard equipment. ALL CURVES - Powrachute's chassis or carriage is substantially different than most other powered parachute brands. In this 3-photo view, you see parts of the chassis that use Powrachute's curved aluminum tubing for main supports. The advantage over other methods is fewer total parts (fewer channels or gussets holding small lengths of tubing), which makes for faster assembly, say some dealers. The chrome finish is also very appealing. ROLL BARS - Other brands have begun adopting some form of roll bars but none so comprehensively as Powrachute. Called Frontal Fuselage Bars, they can protect in rollover situations and in airborne conflicts (see story). PROTECTIVE HOOP - Braced by steel carriage rails underneath and large diameter tubing throughout, the 3-blade prop is well isolated from canopy or ground conflicts. SHOCK ABSORBERS - Powrachute uses a motorcycle-type suspension system on its main landing gear support legs. Note color-coordinated hardware and wheels. BIG BOSS - Bill Amyx is the owner of Powrachute. His experience was showcased when he earned the Kansas state Governor's Award for Manufacturing Excellence. LAID OUT - With its line bags and canopy bag, Powrachute rolls out on the flight line easily and can be ready for flying in minutes. ENGINE MOUNT - The 65-hp Rotax 582 is mounted securely to the Powrachute chassis through a thick aluminum plate, six rubber-mounted bolts, and large diameter frame members. 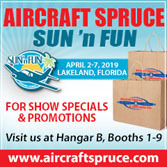 Like a poised cat, restrained energy waiting for its opportunity, Powrachute sprang into the powered parachute industry and snapped up a share of this fast-growing aviation segment. In just a couple of years, the Kansas company has found some 300 buyers of their distinct ultralight. Given their approach to the industry, perhaps using a "spokes tiger" is highly appropriate. A feline named Noah is featured in the company's ads and on its brochure. As with the unusual spelling of the corporate name, Noah helps Powrachute stand out in a crowd. (Personally, I thought the letters meant Pow'r-a-'chute, spelled in the shorthand way of vanity license plates.) Until recently, the Kansas company offered a single 2-seat model - the PC2000 - which could be configured with various options. The PC2000 is a new design "for the 21st century." However, despite its newness, even the PC2000 changed rather dramatically to add rollover protection which the company calls Frontal Fuselage Bars. While Powrachute didn't invent the rollover bar, I find the feature to be the sturdiest and cleanest version on the market. In 2001 Powrachute also added the single-seat Sky Rascal to their line of 2-seat powered parachutes. Many companies start with a single and grow but Powrachute saw a market for lighter, less costly, and lots of fun single-place flying. You might call it "backwards thinking," or perhaps "reverse engineering," but either way, I predict some pilots will much prefer the smaller rigs. The PC2000 Powrachute positions itself as a premium machine with standard features that are often sold as options. However, the design is distinctive - and appreciated by builders - for its simplicity. Where other designs use a half dozen parts, Powrachute may use a single formed tube that does the job. I found the chassis of the Powrachute quite different from other powered parachutes on the market, and rather elegant. On the downside, each of these parts may be more expensive than simpler straight tubing. Certainly, their approach has been somewhat different. It had to be. Powrachute enters a field already bulging with other powered parachute manufacturers, most with more experience in the field. 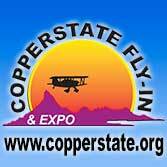 For those unaware, 22 powered parachute manufacturers were listed in last year's Ultralight Flying! Buyer's Guide. I didn't realize so many purveyors were selling these ultralight flying machines, and I've been in this business 25 years. With 22 different companies, the one bit of good news for manufacturers jostling for market share is that few Europeans - particularly the low-cost Eastern European manufacturers - have entered this segment in any meaningful way. Though a couple of small producers do operate across the Atlantic Ocean, only La Mouette of France actively markets in the USA. Few Europeans have shown interest in powered parachutes, though powered paraglider pilots sometimes use tiny-wheeled carriages to avoid the running launch. With the implied marketing energy of 22 manufacturers, the oldest of them still fairly young businesses, no wonder powered parachutes are gaining lots of the available ultralight sales in recent years. 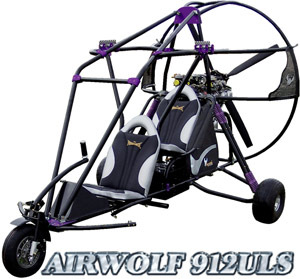 According to some surveys, more businesses are involved with sales of powered parachutes and trikes (added together) than those selling fixed-wings. 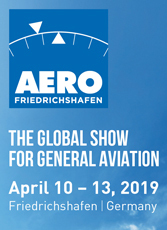 Such trend surveys are notoriously incorrect when slightly out of date, and fixed-wing sales are likely to dominate the future as they have the past. But these days powered parachutes sales are brisk for several manufacturers. Like many trying to understand the competitors, I questioned what sets one brand apart from another. Good companies don't like to put down their rivals but I felt it was my job to push the point, to ask them to compare themselves. Making It Differently One distinguishing feature is Powrachute's Frontal Fuselage Bars. Everyone, me included, refers to them as rollover bars in, what I imagine, is a reference to a similar part on off-road vehicles. A long-time powered parachute instructor I spoke with observed that Powrachute's 2-sided roll bar is probably the single most important ingredient in preventing mishaps in this aircraft. Rollover accidents in powered parachutes are regular occurrences, he indicated, and the smoothly contoured roll bars could also reduce injury from collisions with power lines or fences. The twin roll bar tubes could also allow the installation of a windscreen if desired. However, the frontal bars serve another purpose, well illustrated to me by powered parachute expert Scott Hughes, my demo pilot for this Powrachute evaluation. A skydiver with about 6,000 jumps, it was very obvious that Hughes not only knows how to operate this rig well but also enjoys it as much as anyone I've seen. I had a ball flying with him. As we dodged around and among trees, I made an interesting discovery. Positioned as you are perhaps 20 feet below the wing, you have a different perspective. You can fly very close to trees and yet the wing is well above in clean, unobstructed air. Of course you can't be too close to the trees as you have suspension lines running up to the canopy. Yet even they start perhaps 6 feet above the top of the carriage, so you can zoom in truly close for a look at Mother Nature. After a little hesitation about the close proximity I began to understand that you could do this kind of flying, given an adequate safety margin. With that in mind, the frontal fuselage bars could save you if you misjudge and get too close. The bars should brush small branches or leaves out of your way. I still wouldn't get too close but those bars suddenly felt real reassuring as Hughes and I banked and cranked though stands of trees. What fun! Underneath the Powrachute chassis are two front-to-rear 4130 chromoly steel members running from nosewheel to prop guard. While the chassis of all powered parachutes employ structure to prevent conflict with lines and to protect the prop on takeoff rotation, Powrachute claims to be the only company that makes the total longitudinal structure of their chassis from steel. The design also raises the prop tip further off the ground, which the company believes will reduce damage to the "fan guard" or a costly prop. 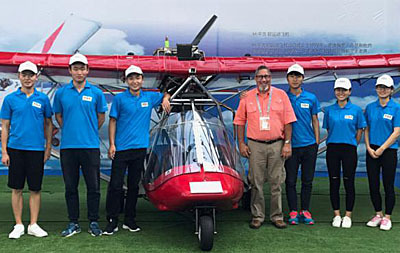 Because of the steel-reinforced prop clearance Powrachute can also use smaller wheels than most other powered parachutes, which the company presents as an advantage. Smaller, smoother tires will slip a little in lateral touchdowns. A knobby tundra tire may dig in and could even cause upset, says Powrachute. Of course, not everyone agrees with all of Powrachute's ideas. Designers at rival Destiny, say their [non-continuous] front to rear rails are designed to bring flexibility, that is, to absorb loads rather than take them rigidly like the Powrachute. I don't know the full effect of the slightly raised engine and prop arc of the Powrachute, but it looks certain to sustain less damage in a tail-down landing. On the other hand I rather liked Destiny's fat tires when hard touchdowns come to mind. Taxi steering some powered parachutes is even less intuitive than push-right/go-left trike steering. Often, a lever on one side or the other is moved forward and aft. Linkages translate this to left/right at the nosewheel but you have no training to allow you to perform this control well; it simply takes time. While Powrachute is also reversed, it was a simple lever that moves left and right. Push-right/go-left worked better for me than push-forward/go-right. You probably have some intuition for push-right/go left: think bicycle handle bars or snow skis. However, the big deal with Powrachute's taxi steering bar isn't how it steers, but how it tugs. Thanks to the simple design, you just swing the bar upside down, which positions it conveniently in front of the chassis where it can be used to tow the carriage or to maneuver it in a hangar or garage. Good thinking! Powrachute supplies a dry cell battery when electric start is ordered. Since it uses auto current, the company has anticipated other needs. A plug-in receptacle is available to power your GPS, cell phone, or CD player. Powrachute uses a ceramic chrome exhaust coating that they say maintains the original look better than standard black paint. And the Kansas company has their own in-house powder coating capability including the preparatory dip tanks. This saves money and time, allowing more responsive deliveries, the company and its dealers say. Factory workers use some novel techniques for assembling Powrachute carriages. The attachment of the prop hoop to the main structure is done with a single long lag bolt anchored in a nylon insert. So far, this sounds conventional enough. But the bolt is first immersed in liquid nitrogen to make it smaller and quickly fitted to position. When the metal warms to normal temperatures, the resultant attachment is very secure and cannot vibrate loose. Though the seats do not adjust, the footbar is adjustable for a range of pilot heights based on the brackets used to attach the footbar. Flying Experiences As with most (but not all) powered parachutes, maneuvering in the air in the PC2000 is done by operating the footbar. As you move the footbar through a small range of motion, the forces are quite light, perhaps 10 pounds. However, to get a more vigorous turn by pushing the footbar substantially, forces can rise to as much as 50 pounds, I'm told. Fortunately, the human leg can generate this kind of force readily and therefore steep turns are possible. Many people, me among them, believed (incorrectly) that these machines are not very maneuverable. However, strong as your legs are, they'll get tired if you maintain pressure for long. Powrachute's trim system works via lines attached to the fuselage in such a way that you can relocate the lines aft somewhat - relative to the chassis - to better facilitate operation by a light pilot. Conversely, the adjuster can be moved forward to better accommodate a heavier pilot. 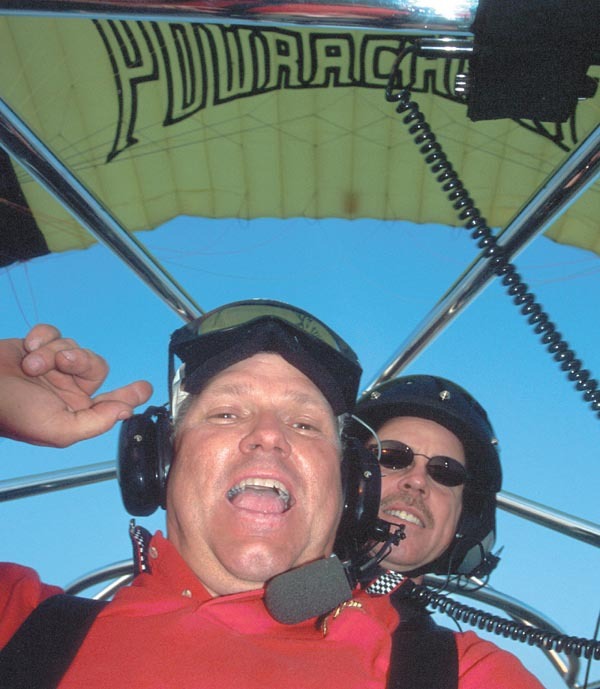 Powrachute president Eddie Johnson is a championship powered parachute pilot, winning the 2000 World Powered Parachute Championships. His company sells canopies from Performance Design, Quantum, Apco, and Elan. As a top powered parachute pilot, I wondered how he advises customers as to which wing they should buy. His explanation started with the statement that Powrachute sells via their dealers only. They don't set firm selling prices, instead leaving that to their field representatives. Even if asked, though, he prefers not to sell one canopy over another. Most customers are not pilots so the details of a particular canopy are rarely discussed. Still, as a successful competition pilot, I knew Johnson must have a preference. When I found he flies with a Quantum Advantage wing, I asked why. "It penetrates a little better," he states. "In gusty air it doesn't rock you around as much and it can turn a little sharper than the Performance Design Sunrise 500." Quantum makes their Advantage canopies in square foot sizes of 450, 500 and 550. Some chassis manufacturers, Johnson pointed out, have chosen to stick with the 500 size while making their carriages heavier and powered by larger engines. The result is a more heavily loaded canopy that appears more stable to airshow observers. 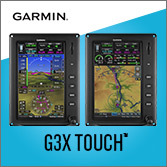 While this creates a positive marketing image, Johnson cautions that it can also make for difficult emergency or engine-out landings as the sink rate will be higher. For the same reason, Powrachute doesn't promote the Chiron elliptical canopy though they do sell that company's more conventional square canopies. Since most buyers are novices, a higher performance canopy isn't the wisest choice. Buyers who insist can get a reduction in the purchase price and use their Powrachute chassis with a Chiron they purchase from another supplier. Closely examine a Sunrise 500 and an Advantage aimed right at you and Johnson says you can identify a greater "arch" to the canopy's leading edge. The Advantage is a little flatter, he says, which probably creates the slight improvement in performance. Despite a flatter wing, Johnson says that he's "willing to sacrifice a little lift for better penetration and somewhat crisper handling, as that's what I enjoy." He notes that for pilots who fly in calm air, the differences will be very slight - which is surely a reason why powered parachute enthusiasts don't talk about their canopies much (except for those who select the Chiron or other elliptical canopies). Catch the Powrachute Tiger? A very effective eye-catcher, Powrachute uses Noah the "spokes tiger" in their advertisements and brochures. This 75% tiger, 25% African lion belongs to Clint Perkins who works with the Riverside Zoological Park. One mission of the park is to bring animals to sites as part of education programs on endangered species. Four-year-old Noah tips the scales at 475 pounds so a 582 Powrachute could carry him aloftÉ if he could manage the flying himself. As he's only about half his adult mass he'd better start training soon; Noah's father weighed 750 pounds. Fun as Noah is, potential buyers need specifics. The PC2000 has about half the parts count of any other powered parachute on the market. This translates to about half the build time. On his very first effort with the PC2000, one Powrachute dealer said he invested only 6-7 hours. And this was before he was familiar with all the bits and pieces. The entire Powrachute chassis is made of large diameter tubing (1.5- to 1.625-inch sizes) giving a substantial appearance. This construction replaces many smaller tubes, brackets, and gusset plates common on other brands with a single compound-curved, large-diameter tube (see photos). For example, the Powrachute motor mount structure is a single bent tube where other brands use numerous nuts, bolts, and parts. Powrachute recommends a choice of two canopy brands: Performance Design or Quantum. Both brands also supply other chassis makers and both are accepted as leaders among American suppliers. If you select the Performance Design brand, you can choose their Sunrise with 500 square feet and a 39.5-foot span. If you pick the Quantum brand, you'll receive their 500-square-foot, 38.7-foot span Advantage model. All canopies are constructed of ripstop nylon, long proven in sky diving and emergency parachute use. To get some better grasp of the optimal loading on your choice of powered parachute canopy, High Energy Sports, supplier of the Quantum line of wings, provides a chart that gives acceptable loading for their three sizes. Areas range from 450 to 500 to 550 square feet to permit the right amount of weight to be suspended from a given area of canopy fabric. The smallest 450 has an optimal range of 375 to 700 pounds; near the middle of the range is best. The next size 500-square-footer should be operated between 425 and 800 pounds. The largest 550-square-foot wing is optimized for weights of 475 to 900 pounds. The reason for the range is that no parachute canopy should be loaded too lightly. Since a PC2000 empty weight is between 361 and 396 pounds, depending on optional equipment, the smaller 450-square-foot Quantum will have a useful load of 339 pounds with the lightest version. Take away 60 pounds for fuel and you're left with an occupant load (or payload) of 279 pounds. Two-person flight will clearly need a larger canopy. Using a PC2000 equipped as tested the 500 size allows 404 pounds of useful load and 344 pounds of occupant load or payload. The 550 size allows 504 pounds of useful load and 444 pounds of occupant load or payload. From this information, we can see that the largest canopy will be needed for many applications. According to company information the 500 canopy should only be selected for solo flying with an occasional passenger or for flight with two persons who meet the FAA standard of 170 pounds. If you weigh 200 pounds and regularly take a similarly sized person with you, the 550-square-foot canopy is clearly the recommended choice. Given the weight of the chassis, even a light pilot won't be too light on even the smallest canopy. Taking One Home with You Powrachute prefers not to set the final pricing for its dealers, however Johnson gave a price range for the 2-seat PC2000 as $15,800 to $17,300. He also says that dealers often include training and helmets along with other gear at the time of purchase. Therefore, it isn't unusual for a powered parachute with all the goodies plus flight instruction to run $20,000 or more. The newly introduced single-seat Sky Rascal goes for a range of $10,350 to $11,350 (before options) with the main price difference coming from the less powerful 40-hp Rotax 447 engine versus the more potent 50-hp Rotax 503. I encourage those intrigued by powered parachutes to look closely at the Kansas Powrachute. Priding themselves on selling only through dealers, "wired" readers can locate the closest one on the company's Website. Or just give them a call and speak to the factory that can provide information and the contact of their closest dealer. Powrachute says they monitor dealer activities very closely. About 90 days after delivery, a customer satisfaction survey is sent to dealers. They must fill out the 3-page document as a means of informing the Kansas company how customers are being served. Many customers prefer to go to the factory for advice. If this describes you, going in person may be the ticket. Powrachute has hosted a fly-in event in late September each year. 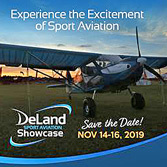 Drawing more than 215 participating flyers this year, visitors can see a lot of action up close and this is always valuable for someone considering purchase. Of course, all the factory people are present, but so are dealers and individuals. Between them, you should be able to find some very valuable information about buying your own Powrachute. Notes: 1 With B-box gear drive and without options, empty weight is 361 pounds. 2Choice offered between Performance Design and Quantum brand canopies. Standard Features Rotax 582 with B-box gear drive, dual CHT, EGT, tachometer, and instrument pod, 4-point seat belts, strut suspension, pull starter, powder coating in a variety of colors, nose fender, rudder trim locks, 10-gallon fiberglass fuel tank, canopy bag, 3-blade composite prop. 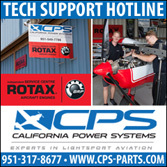 Options Rotax 582 with E-box gear drive, electric starter, strobe, Super EIS and instrument pod, dry cell battery, 12-volt power supply, quick-connect wiring harness, line socks, oversize canopy bag, ceramic chrome exhaust. Construction Aluminum tubing, 4130 steel tubing, aluminum and steel fittings, nylon canopy with Dacron suspension lines. Chassis made in the USA. Canopies are made in the USA or imported. Pros - A newer manufacturer in a crowded field, Powrachute took a different approach to chassis building. Fewer parts means faster assembly and a more modern look to my eyes. The Frontal Fuselage Bars are one Powrachute innovation I could immediately appreciate. Nylon webbing risers add shock absorption compared to steel cables. Company owner is a well-regarded manufacturing expert. Cons - Since most powered parachute chassis manufacturers use the same few brands of canopy suppliers, Powrachute can't differentiate itself this way. Company does not yet offer the elliptical canopies others are promoting. PC2000's sturdy carriage frame is one of the heaviest on the market; many other 2-seaters are 100 pounds lighter. Pros - As tested, PC2000 Deluxe was well equipped. 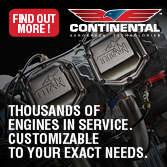 Options available include electric starting, high-end EIS digital instrument panel, and strobe light. Standard items include rudder trim locks and reversible steering bar that doubles as a tow bar. Engine controls easily accessed. Easy repair access. Cons - You pay more to have "mandatory options" like electric starting, but such appears very useful for canopy launching. Systems you can add are limited (as they are on most powered parachutes - these are supposed to be simple flying machines). No brakes are offered. Pros - The Frontal Fuselage Bars are a clear and definite addition to occupant safety; overall cockpit seems well protected. Four-point seat belts in both positions are appreciated. Simple front seat entry/exit. A cargo area is provided below the seats: 10 x 20 x 8 inches, but obviously not accessible in flight. Cons - Powrachute seats look very well made but squeeze front and rear occupants together like older trikes. Front seatback rest is very short. No seat adjustment (though steering bars do adjust). Rear seat entry means dealing with overhead tubing. The forward bars do obstruct visibility a small amount. Powrachute lists no stash bags accessible in flight in their options list. Pros - Prelaunch visibility is as good as in flight: wide open. In-flight steering bars are adjustable for pilots of different heights. Very strong carriage with underside steel tubing running to the rear of the "fan guard" (prop guard). Main gear legs use a motorcycle-type shock absorber system. 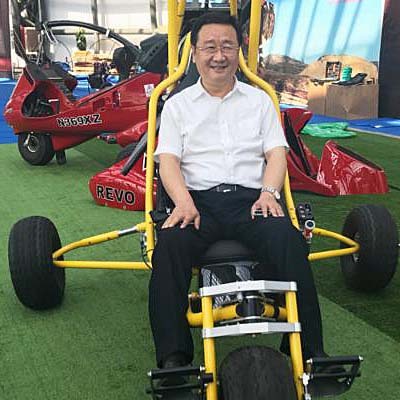 Flip-forward taxi steering bar is more intuitive than many powered parachute taxi steering systems and doubles as a ground handling tow bar. Very clever. Cons - Though taxi steering bar is convenient to reach, you push right for left steering (same as most trikes). No brakes; perhaps not often required though hard-surface operations may be more challenging. Ground clearance is not as high as some powered parachutes with larger tires. Taxiing with canopy overhead takes experience. Pros - Superb visibility before takeoff and on landing approach (as well as all other times). The canopy and its rigging set approach speeds. Ground roll on takeoffs and landings are quite short. 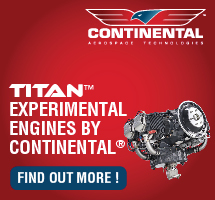 Strong climb rate with standard 65-hp Rotax 582 engine. Steep glide angle will help many pilots make good approaches (assuming they plan well). Cons - Crosswind operations aren't really possible (though short landings roll may allow landing into the wind). Energy retention is very weak; you get basically one chance for flaring. No approach aids other than power and good planning. Ground clearance is adequate for off-field landings but less generous than some brands. Pros - Maneuverability was greater than I expected, with turn rates enhanced by pulling on lines already taut from steering bar action. Reversing rolls were much faster than expected (though given commonality of canopies, this is true of most powered parachutes). Special "tangle-resistant" riser brackets help prevent line snags. Cons - No rear seat throttle. Essentially no speed control other than power, except for braking of canopy, which slows the machine slightly from its trim speed. Very limited control capability to cope with crosswinds if needed. Precision turns to headings will take practice. Pros - Nylon risers have some stretch that smoothes interaction of canopy to chassis compared to steel cable. Trim locks help adjust for pilots of different weight. Powrachute doesn't even list a Vne; it isn't necessary on powered parachutes. Low flying over the fields - a type of ultralight performance in my opinion - is superb in the PC2000. Cons - Powrachute does not yet offer the elliptical canopies (like Chiron), which can offer a modest improvement in performance range. Glide is steep at 3 or 4:1, not enough to reach very far if your engine fails. Sink rate is relatively high at about 600 fpm; many fixed-wing ultralights are better. Powered parachutes always use a lot of power; you can't lower noise much. Pros - Four-point seat belts are valued by any pilot and offer security to students who may be apprehensive about sitting "out in the breeze." The Frontal Fuselage Bars could be extremely helpful if low elevation flying has you brushing through any obstacles. With well-rigged lines, "hands off" (feet off?) flying is very simple. Cons - While stalling a powered parachute is unlikely, some phenomena can produce a sustained descent beyond the pilot's control (good training will help avoid this predicament). 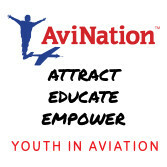 Erratic use of power can lead to problems in flight. 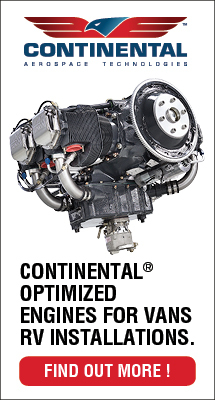 At high power settings, fuel consumption is high; 10-gallons won't last long. Pros - Powrachute prides itself on selling only via dealers, which should mean closer help as you get started. Powder coating is done in house and convection baked. Assembly is simplified by curved tubing that replaces many brackets and bolts of other designs. Company backed by experienced, manufacturing award-winning owner. Taking this aircraft home with you is easier than many ultralights (except possibly trikes). Cons - Prices are comparable to many fixed-wing ultralights or trikes; no advantage here. Powered parachutes won't interest many fixed-wing or trike pilots used to greater flight flexibility. Those hoping to deal factory direct must look elsewhere. Out-in-the-breeze flying isn't optimal in cold climate flying (though low speeds will keep some chill off). Like a poised cat, restrained energy waiting for its opportunity, Powrachute sprang into the powered parachute industry and snapped up a share of this fast-growing aviation segment. In just a couple of years, the Kansas company has found some 300 buyers of their distinct ultralight. Given their approach to the industry, perhaps using a “spokes tiger” is highly appropriate. A feline named Noah is featured in the company’s ads and on its brochure. As with the unusual spelling of the corporate name, Noah helps Powrachute stand out in a crowd. (Personally, I thought the letters meant Pow’r-a-‘chute, spelled in the shorthand way of vanity license plates.) Until recently, the Kansas company offered a single 2-seat model – the PC2000 – which could be configured with various options. The PC2000 is a new design “for the 21st century.” However, despite its newness, even the PC2000 changed rather dramatically to add rollover protection which the company calls Frontal Fuselage Bars.